Why did Ubisoft file a new Watch Dogs trademark? Weekly Wrap: Whoops Dogs 3, King of Kong dethroned, and more! Where in the world could Watch Dogs 3 be heading? PlayStation 4 and Xbox One players can check out what they're missing in Watch Dogs 2 for free. What myths are there to bust in Watch Dogs 2? YouTuber DefendTheHouse tests the boundaries of Watch Dogs 2 in highly entertaining fashion. Watch Dogs 2 easter eggs suggest there is plenty coming down the line from Ubisoft. 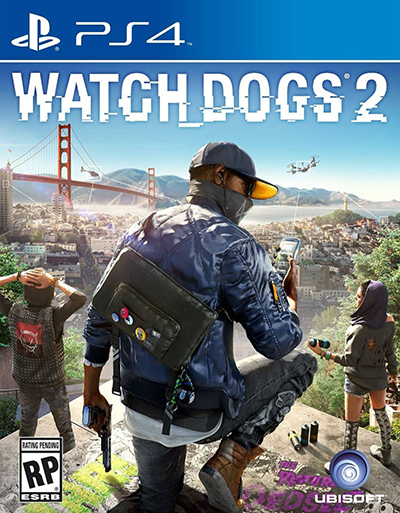 Get ready to hack (a small, San Francisco–shaped portion of) the planet with the Watch Dogs 2 launch trailer. Learn how one of the country's most iconic cities was brought to life in Watch Dogs 2. A new trailer shows a fresh side of Watch Dogs 2's San Francisco. Here's a brief look at Watch Dogs 2's pre-order exclusive bonus mission: Zodiac Killer. The hacktivists at Dedsec appear to have their work cut out for them in Watch Dogs 2.